Here's an easy outfit I threw together to run some errands with my husband! The theme for this month's Everybody Everywhere is NEON so I paired this bright, neon cutout tee with some bright bangles! I brought in some neutral shades through my heels and boyfriend style khakis! I'll be back on Thursday with an actual thrifted outfit post, so stay tuned! Happy Tuesday! I realized when I made my outfit post today that I was wearing mostly H&M clothing. It is funny when that happens! I love your cut out shirt- so fun! I love your combination of neon and neutral! 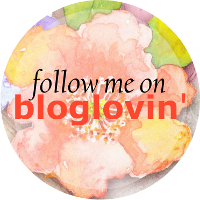 I'm so glad I found your blog (through EBEW), it's a fabulous source of inspiration!